Google Adwords! Damn familiar if not because of their PPC network then must be for finding the keywords for your website…right? This article is all about best alternatives to Google AdWords. Before going into best alternatives to Google AdWords, let me talk something about Google AdWords for those who are little new. They are number #1 PPC network currently with a market capitalization of more than 50%. Adwords is one of the best places to advertise a business online. In 2014, a bulk of Google’s revenue was from AdWords itself. It was measured that $66 Billion was from AdWords itself. But as you have landed on this Best Alternative to Google AdWords, you must be thinking to move away from the Google AdWords. Despite being the world’s largest PPC network, why people like you walk away from AdWords. So after days of research and my experiment, I found few points that may be causing advertisers move away from the Google AdWords. Below are some of those. Here are some of the points those may be causing you to step away from the Google Adwords and causing you to search for best alternative of Adwords. 2. Getting traffic but not converting- This is the very standard issue for most of us. Many of receive traffic and clicks but it is not converting well. This is because Google shows the ads on the website signed up with their AdSense program and if the site where the ads are showing are not of high value than there are chances that you will not get good conversion. 3. Your niche is not compatible with Adwords policy. 4. It’s too expensive. Expensiveness is also one of the reasons why many people leave Google AdWords. 5. AdWords doesn't suit your need- I agree. I was doing PPC with Adwords (also doing now but for different need), but it was not converting well. I was trying CPL campaigns with AdWords and was not converting well but worked well for CPS. So there is a chance that some of the campaigns won’t turn well in AdWords whereas can do best with other advertising partners. So as now it is clear why advertisers move away from AdWords and look for the best alternative of Google AdWords, here I am going to show you some of the best alternatives to Google AdWords. Though there are hundreds of small and large advertising platform, I am going to list few those work. How can we forget about Facebook? Facebook is currently the top social media having more than 1550 million active users as per Jan 2016. Below is the stats of some users of different social media as per January 2016 by Statista. 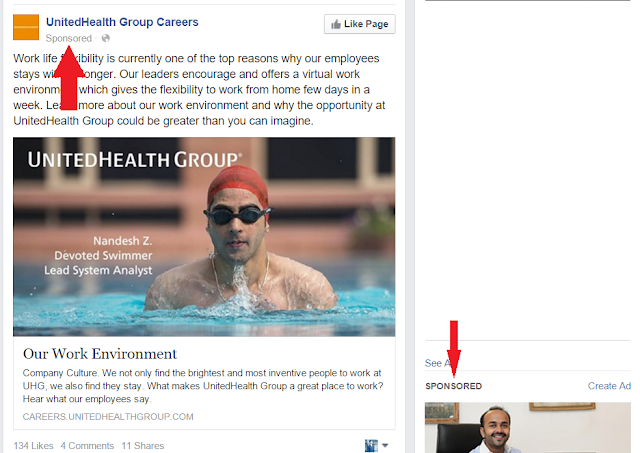 Facebook ads are quite famous these days and are giving a healthy competition to Google AdWords. If your target customers are using social media, Facebook ads might be an excellent starting point for your next PPC campaign. Facebook ads allow brands to reach specific segments within their 1 billion user base. All you have to do is, create one Facebook page for your brand/product (which I am sure you have) and start the campaign. You can check more details about Facebook ads here. Also, if you need, the Facebook executive will guide you for the best ROI. 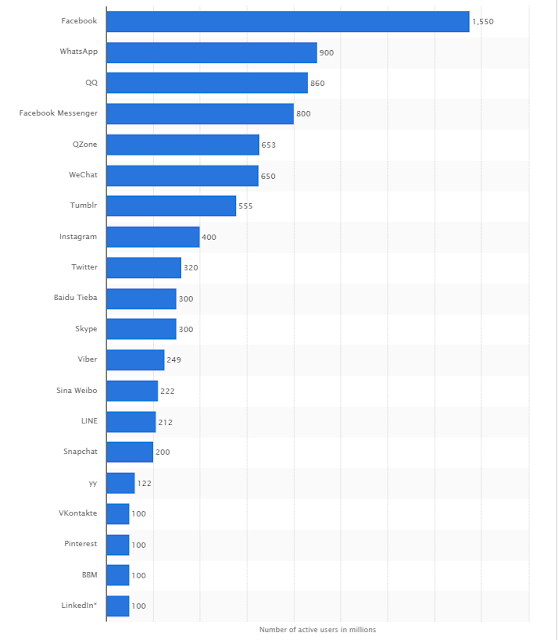 • Facebook has 1.2 billion users who are 20% of the earth population. 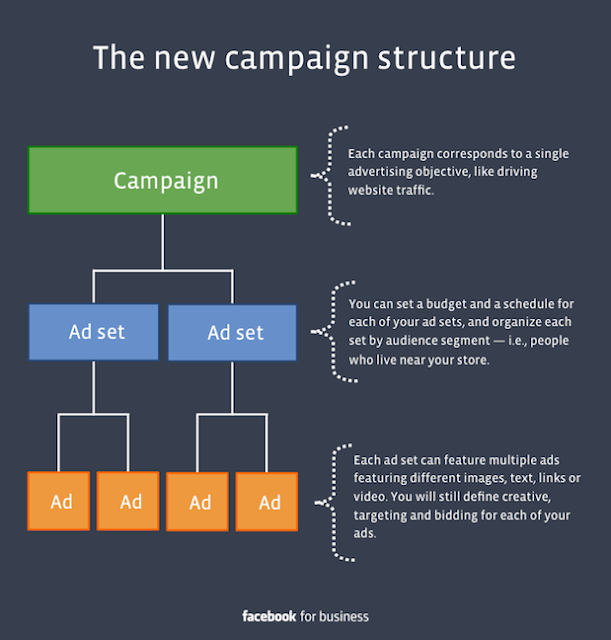 Recently Facebook has changed the campaign strategy and below is what they are targeting now. Bing is from Microsoft. Like Google’s advertising platform is AdWords, similarly, Microsoft’s advertising platform is named as Bing Ads. Though it is not as popular as AdWords, still works great and is one of the best alternatives to Google AdWords currently. Bing Ads is a combined advertising media of Yahoo and Microsoft. Bing is quite famous in the US and has more than 30% of market share in the search engine. So if you are targeting US market, Bing Ads can work perfectly for you. The main advantage of Bing Ads is, it has much lesser bid price compared to AdWords and gives excellent conversion. Tip: Based upon my personal experience, if you are doing CPL than try Bing Ads over AdWords. And if you with CPS, work with AdWords. This has worked great for me and many others I know. 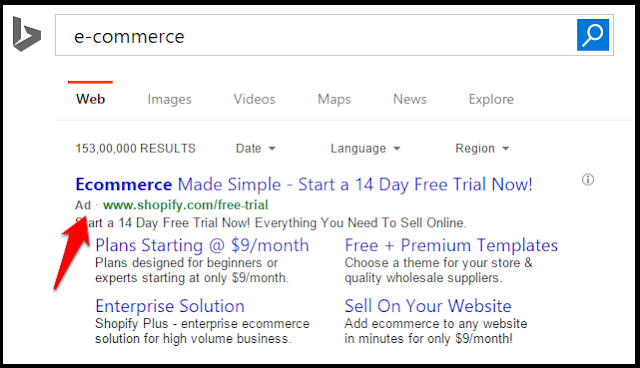 Bing has everything similar to AdWords like you can do keyword research, can target location and much more. • Ad description length is of 71 characters while AdWords just allows 35 characters. • Enable you to reach around 600 million users worldwide. BuySellAds is currently the largest marketplace to buy and sell the banner ads on different blogs and websites. According to their annual report, they serve more than 6 billion ad impression per month. Once you are signed up as an advertiser in BuySellAds, you can select the websites where you want to show your banner ads. Every site will have their price like in $100, they will show your 100*100 banner for one month or 1 lac impression, they will charge $20, etc. Now depending upon your requirement and budget, select the one which fits you. Though getting into BuySellAds as a publisher is quite severe and so the advertiser can only get quality sites to advertise and hence can get good ROI. Regarding a banner ad, we can say BuySellAds is one the best alternative to Google AdWords. • There is no assurance that you will get referral traffic as this works on impression/time basis. • If ads are not appealing, this is not going to give you good ROI. 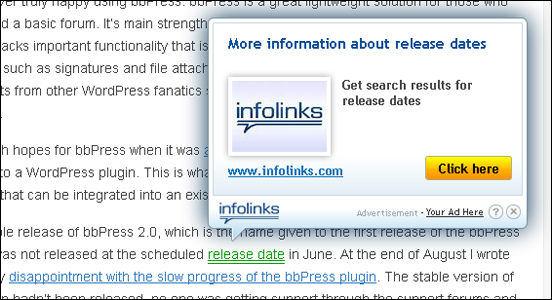 Also, Infolinks is the cheaper advertising medium compared to other networks. 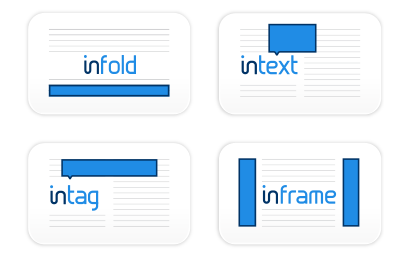 Getting into Infolinks is quite easy for both Advertiser and publishers. But beware! As text ads, sometimes frustrate the users and so many publishers don’t use Infolinks, and so there is a significant probability that you won’t get quality traffic. Recently, Infolinks has come up with many other ad formats which you can use for better earning as well. AdRoll is a retargeting platform, which is one of the top third-party tools officially approved by Facebook as providing access to FBX. FBX is reaching people on Facebook based on specific actions they have taken online, like visiting your site. Apart from Facebook, AdRoll also supports Google AdWords and also has their advertising medium. No doubt they are the best retargeting platform but their prices are relatively high and so can’t suit best for the new or smaller advertisers. • Have various Ad options- Facebook/Google etc. • Due to retargeting, the previous visitors will again visit, and there is a chance of more conversion. • Can personalize your retargeting ads. • Retargeted customers are three times more likely to click on your ad than people who haven’t interacted with your business before. These were some of the best alternatives to Google AdWords. Though these are not the only options. But I am sure these are the best alternative to Google AdWords for your advertising. If you are not so happy with the AdWords, you may try any of the above advertising media and get good results. What do you think on this? Do you know any other advertising medium which can work as the best alternative to Google AdWords?